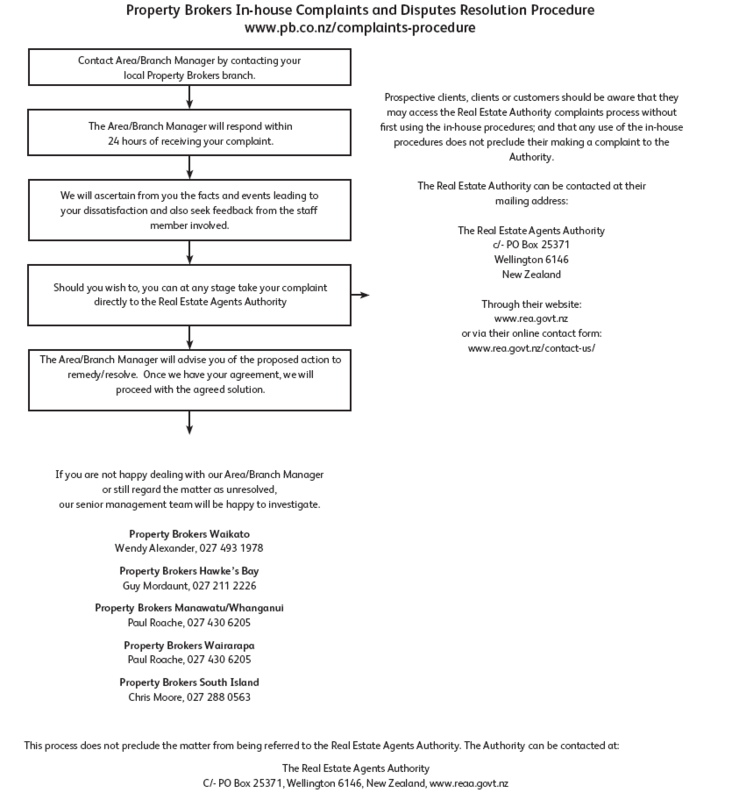 with the Real Estate Agents Act 2008, Professional Conduct and Client Care Rules, we would like you to follow this process when raising a complaint. procedure for dealing with complaints and disputes and that clients and customers are aware of these procedures. those concerns should be addressed in the first instance to the Branch/Area Manager concerned. who will register the issue as a formal complaint and action it in accordance with the in-house procedures as set out below.